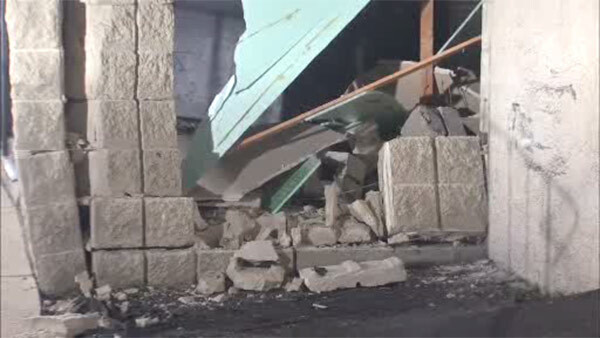 MAGNOLIA, N.J. (WPVI) -- Police in Magnolia, New Jersey, are investigating an accident that left a hole in an auto repair shop. It happened around 8 p.m. Thursday along the 300 block of South White Horse Pike. For reasons unknown, the driver of an SUV lost control, left the roadway, crossed a parking lot, then slammed into and partially though an exterior wall of the Grease and Co. Witnesses at the scene say at least three people were in the SUV, but fire officials say only one was taken to an area hospital for not life-threatening injuries. It's not clear why the driver lost control.